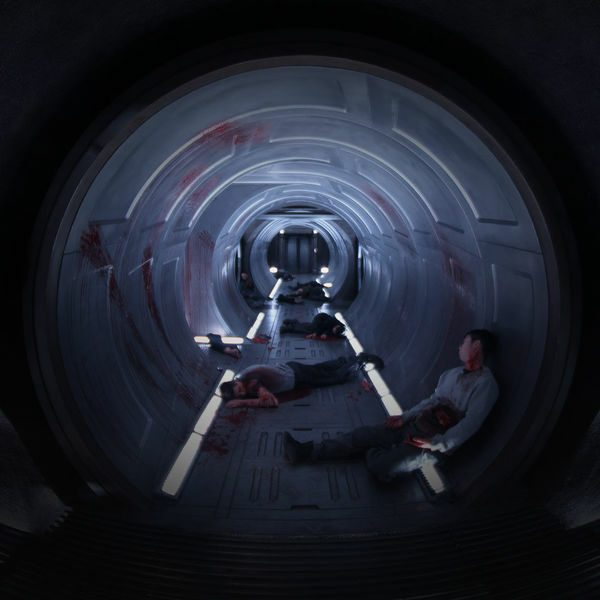 The Expanse has been painstakingly crafted to be as scientifically accurate as possible, so we'd be doing the whole universe a disservice if we didn't call out all of the minutiae that make the show the most realistic look at the future we've ever seen. We sat down with Daniel Abraham, Mark Fergus, and Hawk Ostby, the co-creators and producers (Daniel is also 1/2 of the team that wrote the book series the show is based on) to get the lowdown on the insane level of detail and intricacy they put into the science we see in the show. But how real is it? Nerds, read on. Q: Talk about the cascade meltdown on Ganymede. When something goes wrong, how does that trickle down. DANIEL ABRAHAM: You guys don't mind if I rant, here, right? So, what we're talking about there is the collapse of complex systems from the collapse of food webs. If you want to look at what's going on in the oceans right now that’s a perfect example. When we eventually go to populate these planets and moons, we’re populating humans, an apex predator first, which is really hard to do because you have to have all these supporting organisms, all the micro biomes, all the plants, all the fungi, all of the systems of a working ecosphere. And when you stress those, and stress those, and stress those, and stress those, and stress those, a failure in one place, a failure in one web, echoes out. It ripples. When you have something that doesn't have the depth and richness of the ecosphere of earth, when you have what Prax calls, a simple complex system, there aren't very many ways for the system to shift. There aren't very many ways for it to accommodate insults. So, when you break something, you know, maybe okay, you put the wrong kind of water in the thing, these plants, they're not dead yet, but they're fucked up, and they're not going to be producing oxygen the way they are supposed to. They're not producing nutrients the way they are supposed to. That means the fish that feed off of them aren't going to be able to survive the way they are supposed to. And that means, you're not going to get the protein the way you're supposed to, and that means people are going to starve. So, even though it's just a small problem now, in that kind of a system it means, that in a short time from now we're fucked. So, that’s the cascade. MARK FERGUS: …everybody's still dancing and drinking and partying and everyone thinks it's an amusing story that they're going to tell. And the guy who designed the ship already knows it's fucked, long before anything looks bad because there's no way for this system to adjust. It’s doomed. MARK FERGUS: I think it's a beautiful moment, where Prax is very eloquent in making that concept accessible to anybody. There's no way for this to recover. And, it's haunting to say all these people are dead. They don't even know yet. They're all dead. It's so relatable to our own world; we have the ability, this world has the ability to adjust and correct itself, but at some point run out of ways to correct this incredible system, and then it's going to be free fall. You can't go back. HAWK OSTBY: There's no way for the system to compensate, so, I thought it was the most eloquent, moment of the season to kind of, without beating the political drum, say these are things that we should be really thinking about. Q: What's going with the conversation Bobby has with a drug dealer on earth who brings his vocational training, and how he's been on waiting lists for years. How does this relate to basic and the future of jobs? HAWK OSTBY: Right there. Perfect. HAWK OSTBY: I think that's the most realistic version of future that I've ever seen or read. Right from the book. HAWK OSTBY: … opportunity is only so limited. So, they created a way that government and economics handles that. HAWK OSTBY: We’re there already. Finland’s already on basic. DANIEL ABRAHAM: Right now, Finland's on basic income. That's very different. Basic income is where you give poor people money. Basic is where you give people life assistance; you give them clothes, food and shelter. You don't give them money. There's no money. It's actually less of a free market than basic income would be. HAWK OSTBY: So, to answer your question, they’re competing jobs. For one out of every 10,000 people there's one job. DANIEL ABRAHAM: The idea that education is an accreditation especially, is a scarce commodity. We see a guy who actually knows a lot, who actually has learned a lot, and you see Naomi, who has taught herself a lot. But the accreditation that allows her to enter the guild system to become a professional to make money, that's protected. And that's always been protected. I mean, that’s why you’ve had guilds since the middle ages. HAWK OSTBY: It’s sad, you know? Everybody wants in and it’s not going to happen. DANIEL ABRAHAM: You wind up with people who are trying to get off basic, but if they don’t have the money to pay for the education to get the accreditation. You’re kinda stuck! Catch up on The Expanse here.